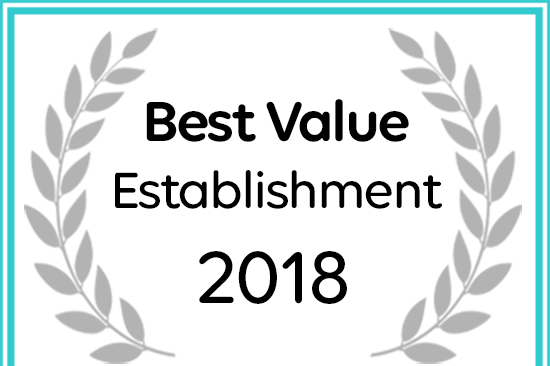 Afristay has named Bosavern Guest House as a Best Value Establishment. For group bookings contact us for specials. Bosavern Guest House has six spacious double guestrooms. Most rooms lead to the pool area and have sea, pool and mountain views whilst the others lead onto an upstairs patio. One has a view of the garden and valley and the other has a view of the garden, mountain, pool and sea. 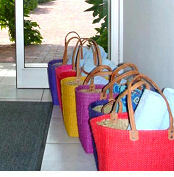 The Guest house is rated by Trip Adsvisor Always within the top 20 accommodation establishments in Plettenberg Bay. No check-in OR departure on Christmas or New Year’s day. From 1 October to end March we can only accept bookings of 2 nights or more. We are a non-smoking establishment in accordance with the Laws in South Africa governing smoking. Rooms 1 and Rooms 5 have garden views. Full payment or cancellation is required 30 days prior to arrival. A 50% deposit within two days of making your booking will be required to secure your reservation. Thereafter, Bosavern House will be obliged to release the booking. The outstanding balance of the reservation to be settled on arrival. Charges for extra services and consumables to be settled prior to departure. Cancellations and no-shows are subject to our booking and cancellation conditions, available on request. Check out time 10h00, although every effort will be made to accommodate you. 2 Night stay or more accepted, 50% deposit required when booking, balance due on arrival. Rooms are ready for occupation by 15h00. We regret no children under the age of sixteen or pets allowed. Bosavern House is a non-smoking establishment. Luggage storage and late showers can be arranged. VISA/Master credit cards accepted. Regrettably no Debit Cards. December, January and February a 60 day notice for a cancellation is required. Cancellations less than a 60 days notice - the full amount is required.